An historic Helmsley-based stud farm, once owned by horse racing legend Sir Henry Cecil, has signed a three-year sponsorship deal with Thirsk Racecourse to back Thirsk’s most prestigious race, the Thirsk Hunt Cup, until at least 2021. 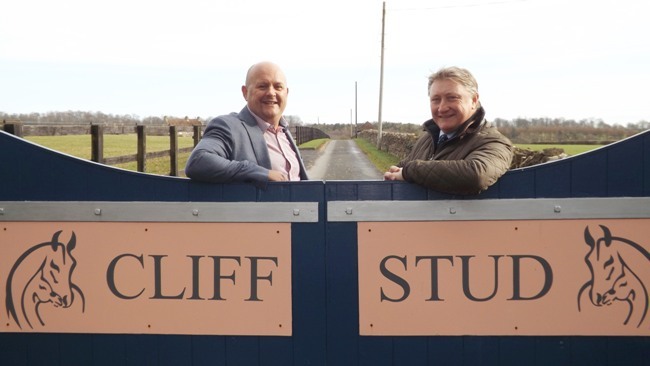 Set in 220 acres above Helmsley, Cliff Stud specialises in foaling, and with its immaculately maintained paddocks and accommodation it can accommodate up to 65 horses at any one time. The Stud also boasts two beautifully appointed holiday cottages, which are named after Cecil and his most famous horse, Frankel. The Thirsk Hunt Cup began in 1859, with the intention of bringing together the Country’s leading hunters, with the very first winner taking home the princely sum of thirty sovereigns. These days the race is a very competitive flat, handicap contest over a distance of one mile. The next renewal is on Saturday May 4 2019.